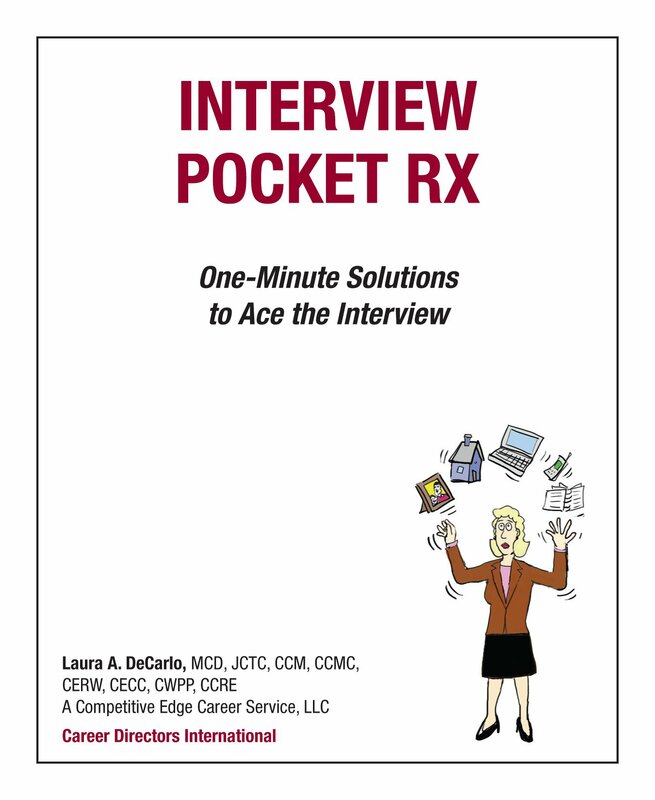 INTERVIEW POCKET RX, by Laura DeCarlo, is a color-coded, pocket-sized reference (measures only 4.5″ x 5.5″) that provides your clients with the following One-Minute Solutions to ace their interviews. 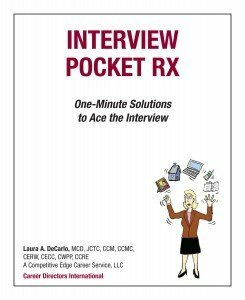 Why choose Interview Pocket RX? Wholesales to CDI members as low as $4.00 per copy (3.75-4.95 depending on order volume). Retails for $9.95. It’s the only guide that gives job seekers instant access to need-to-know NOW information for every aspect of the interview and salary negotiation process. It discreetly slips into a pocket, purse, notebook or briefcase for instant access. 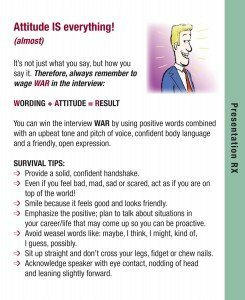 Its small size makes it conveniently available whenever it is needed — on the train, in the car…even at the last second while waiting to be called into an interview. It fits into a busy lifestyle by providing just what job seekers needs to know in a brief and entertaining format. 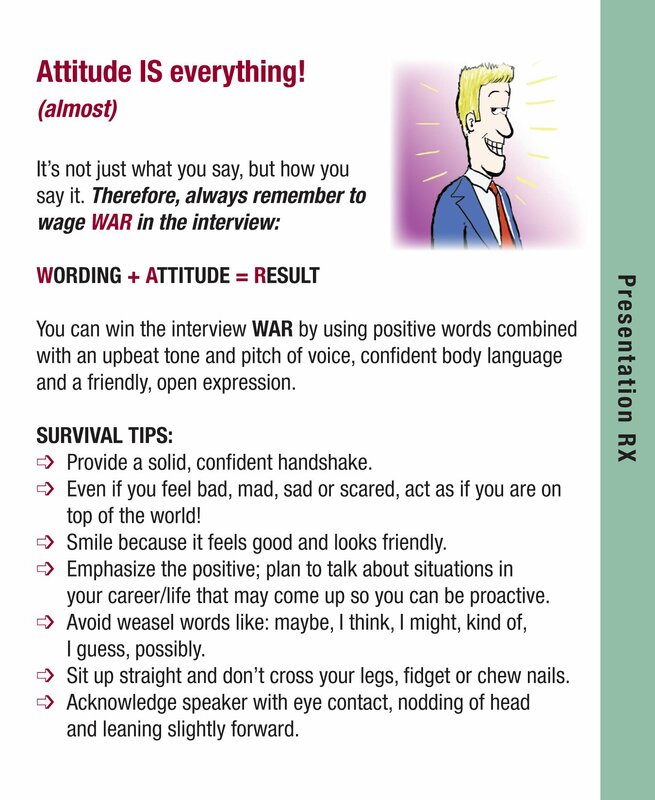 It ensures job seekers get the EDGE in the interview! 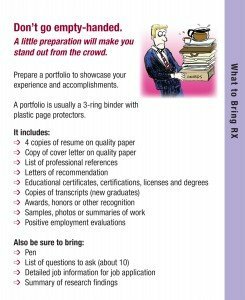 Contact CDI at info@nullcareerdirectors.com for a quote with shipping.